If you want to get your fix of breathtaking graffiti art, as well as, experiencing the amazing sights London has to offer whilst feeling the brisk wind flow through your hair, then look no further than Alternative London. The quirky company offer everything from walking tours to showcase East London’s incredible street art, to pub tours and street art workshops. The Street Art Bike Tour gives you the opportunity to see the finest work that covers areas like Brick Lane, Shoreditch, Hoxton and Hackney, viewing works of famous artists such as Banksy, Shepherd, Phlegm and a whole load more. Alternative London also offer a ‘Shutter the F**k Up! Evening Bike Tour’, which allows you to see street art that is only viewable once store shutters close and the rest of the country is ready to call it a day. 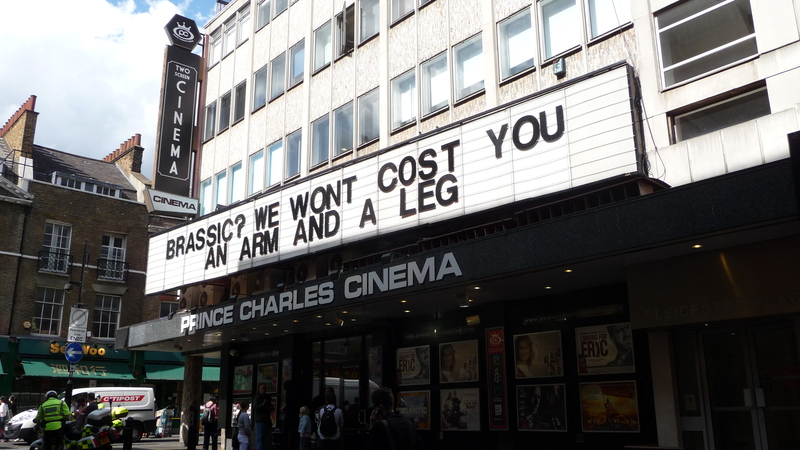 Sing-a-long to your favourite movie at the Prince Charles Cinema. Ever wondered what it would be like to sit in a sold-out cinema where you all raise to your feet and bellow out the song from your favourite movie without being judged or banned for life at that particular cinema complex? Well stop thinking and start experiencing. This Easter weekend The Prince Charles cinema offers the unique opportunity to sing along to last year’s smash hit film Frozen. So if you’re friends and family have got to breaking point of hearing your ‘unique’ rendition then go and perform it with others that will only embrace your confidence. You can also ‘spice up’ your weekend by attending to the Spice World sing-along, a dream date for any pair of 90’s pop enthusiasts. Travel back in time at Cellar Door. London has a very competitive scene when it comes to pubs and bars (who doesn’t love a quick pint that soon turns into finding ourselves leaving at 2am) but very few offer an experience quite like Cellar Door. The self proclaimed ‘30s Berlin meet New York basement dive’ offers a wide range of cocktails to quench anyone’s thirst and boasts the UK’s first SMS text jukebox, establishing themselves more like a modern throwback 30s bar over one that is too indulgent on its influenced time period. 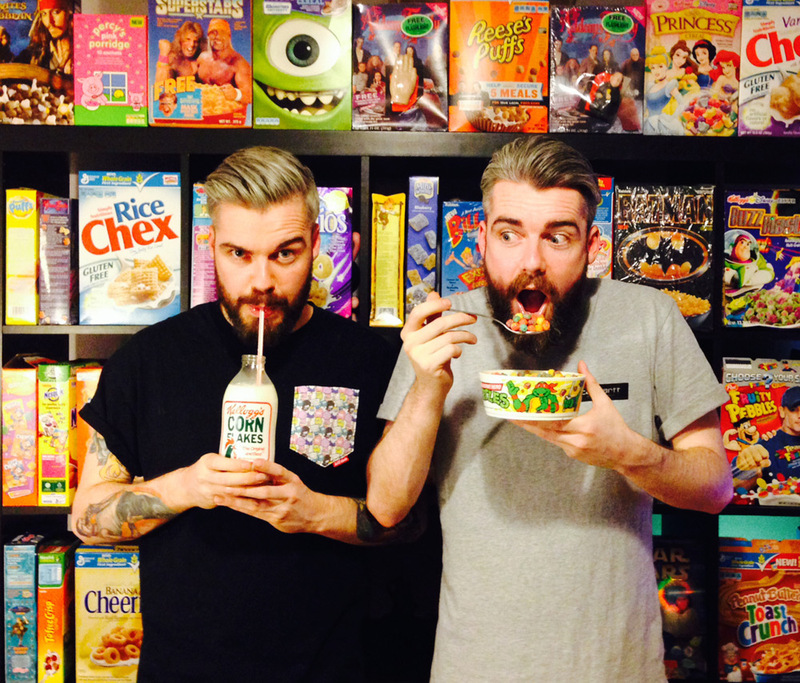 If you already start your day with a bowl of cereal then why not do it at the UK’s first speciality cereal cafe? With over 120 different types of cereal from around the world and 30 different varieties of milk and a décor of 80s and 90s memorabilia, you’ll be spoilt for choice. For a limited time only the cafe have created ‘The Easter Eggstravaganza’ consisting of Toffee Crisp, Golden Nuggets, Peeps, Mini eggs, Kinder egg and milk. I know you’re licking your lips in anticipation right now. Why not complete your weekend with an Easter egg hunt, it is Easter after all! There are several events happening all across London for families to enjoy the festivities and the opportunity to eat your weight in chocolate. Just remember to take that gym membership pass to work on Tuesday.